SINGAPORE – Razer is dipping its toes into the networking scene with the launch of its first router. Dubbed Sila, this new router, like other Razer products, is geared for gamers. To jump-start its networking ambitions, Razer, which made its name in computer peripherals, has had a little help. The gaming firm has roped in Ignition Design Labs, a start-up that successfully launched the Portal Wi-Fi router via the Kickstarter funding platform a few years ago. The tie-up seems to have begun much earlier, though. A Razer press statement from last December said it has partnered Ignition Design Labs to “optimise features and performance of the Portal router, specifically for gaming”. The Razer Sila thus appears to be a natural progression in this partnership. Having tested the Portal Wi-Fi router last year, I feel the Sila is very much like its souped-up version. For one thing, it has three wireless bands compared with the Portal’s two. The extra 5GHz band is used to support more devices – the router automatically balances the number of client devices on each band. It also serves as a dedicated channel for communication between different Sila routers, known as backhaul, when Sila is used as part of a multi-node mesh Wi-Fi network. I did not test Sila’s mesh networking feature as I received only a single review unit. But the extra wireless band should lead to better performance than the Portal in terms of speed and coverage. Razer says three Sila routers can create a mesh network with a coverage area of up to 9,000 sq ft.
Sila and Portal have many similarities. For instance, both routers have nine antennae, all tucked inside the chassis. The rear ports of both are arranged almost identically, with their two USB ports and the factory reset button located at similar locations. But Sila has three LAN ports – one fewer than the Portal – which seems incongruous for a gaming router, especially as some of its rivals have eight ports. It also lacks a port aggregation feature to boost the speed for a single computer by combining two LAN ports. Like Portal, Sila supports a feature known as Dynamic Frequency Selection, which uses specific Wi-Fi channels, typically reserved for weather radar systems, to avoid network congestion. Razer’s influence is probably most apparent in Sila’s appearance. It is decked entirely in black with Razer’s triple-headed snake logo at the top. This logo is also an LED status indicator – everything is fine if the logo glows green, while a red light indicates a problem with the connection. Its sides have a mesh design for ventilation, while its top cover has a rough, sandpaper-like finish. Users have to set up the router with the Sila mobile app (for iOS and Android) on their smartphones. This app is almost a clone of the Portal mobile app and requires a smartphone with Bluetooth functionality. Compared with other router apps, the Sila app’s settings are mostly in text instead of icons and graphics. But the set-up process is quick and easy. Interestingly, some of the router settings in the Sila app can be changed only via Bluetooth, which means your smartphone has to be physically close to the router. You can still access some settings, like parental controls via the Internet, as well as monitor the client devices that are connected to the router. While Sila has a Web interface, this option is disabled by default. It can be switched on using the mobile app and offers more settings than the app. 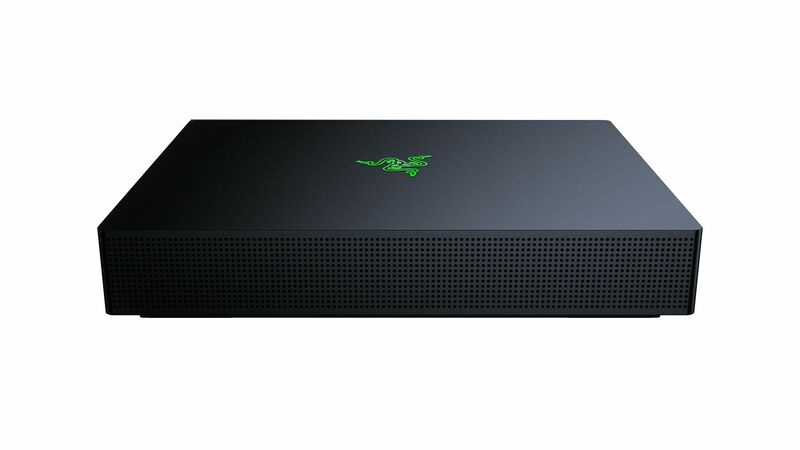 Razer touts it as a gaming router that can differentiate network traffic from gaming apps and gaming devices, such as game consoles and computers, from other kinds of network traffic. Users can manually set the priority level for more than 500 supported apps or specify a priority level for a specific client device or a category of devices, such as those deemed to be gaming devices. Alternatively, a Gaming Mode reserves 30 per cent of available bandwidth for gaming traffic. To test Sila, I simulated a scenario with multiple users streaming videos at the same. Four Netflix video streams on four different devices, including a 4K Netflix stream on my television set, were played simultaneously. At the same time, I ran the online multiplayer game, PlayerUnknown’s Battlegrounds Mobile, on Razer’s latest smartphone. Throughout my one-hour gaming session, the latency was low without any lag, at around 20ms to 30ms. Given this result, it would appear that Sila is doing a good job at managing the latency and network traffic. The caveat: I did not have another gaming router on hand to directly compare it with. In my usual speed test, which involves transferring files between two computers, Sila managed an average download speed of 404Mbps – decent, but far from spectacular. This was achieved with both computers set to the highest priority. Verdict: This eye-catching router combines useful gaming features with mesh router functionality. But it does not come cheap.